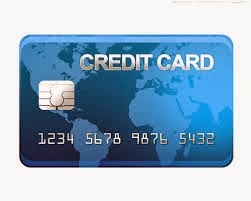 The Reserve Bank of India has refused to extend the deadline for upgrading security on credit card swipe machines and has ordered banks to compensate cardholders in seven days if any fraud occurs on non-compliant terminals. If the bank fails to refund the disputed amount in seven days, it has to compensate the cardholder with a penalty of Rs 100 per day until the date of payment. At present, dispute resolution is a cumbersome process and takes several weeks in case of credit card frauds. Banks see the new directive as indicative of the central bank's seriousness on card security. After a rise in credit card frauds, the RBI had asked banks to add security features including an electronic chip and a secret PIN which the cardholder is required to punch in the terminal to authenticate payment. This feature was to come in force from July 1. But banks were behind schedule in both issuing chip cards and in upgrading terminals to meet the new security standards. Since the entire industry was behind schedule, the RBI was forced to extend the deadline. Banks were required to get credit card swipe machines upgraded by September-end and have all the cards upgraded by November. But a few days ahead of the September deadline, banks have again said that they are not ready. "Various banks have approached us, seeking further extension of the time line of September 30, 2013 for complying with the task of securing the technology infrastructure," the central bank said in a statement. Pointing out that banks were told that there would be no further extensions, the RBI said, "It has been decided not to grant any further extension of time. Accordingly, banks not complying with the requirements shall compensate loss, if any, incurred by the cardholder using card at POS terminals not adhering to the mandated standards."